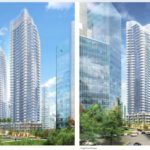 The address may have changed slightly, and three floors dropped, but Bosa Properties’ bold design for a luxury condo tower named Fifteen Fifteen next to the 70s-era Crown Life Plaza is moving forward. 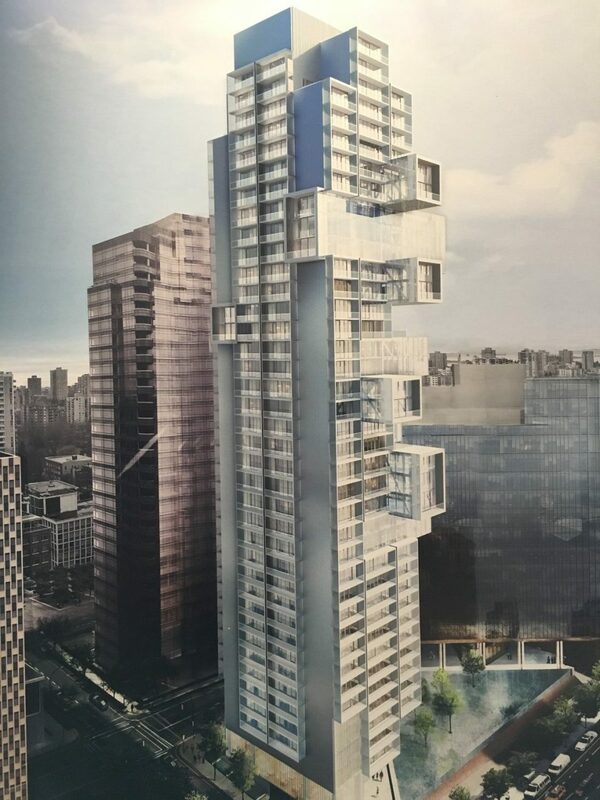 The new building, designed by renowned German architect Büro Ole Scheeren will now be known as 1515 Alberni Street instead of 1500 West Georgia, hence the name. 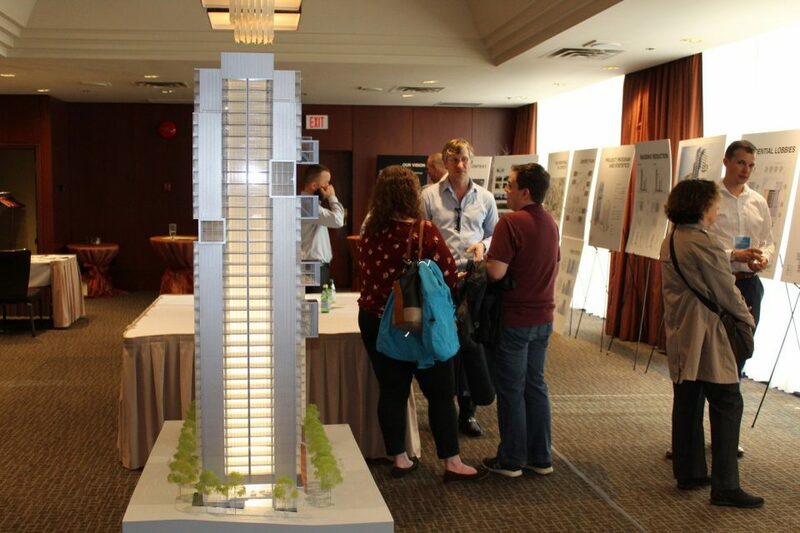 It will be 40-storeys, down from an earlier proposal of 43-storeys. 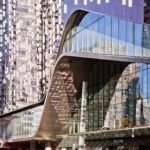 The number of units has also been cut, from 217 to 195. 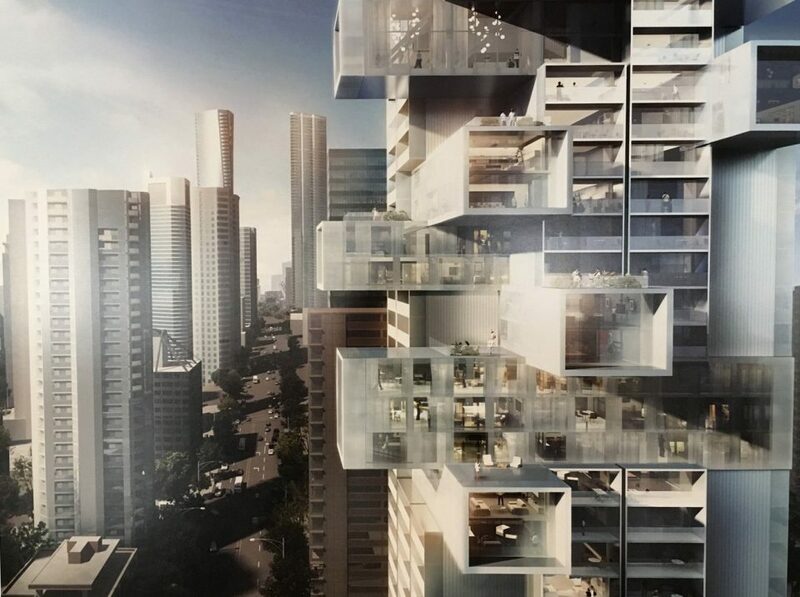 Francl Architecture is the local architect working with Büro Ole Scheeren. 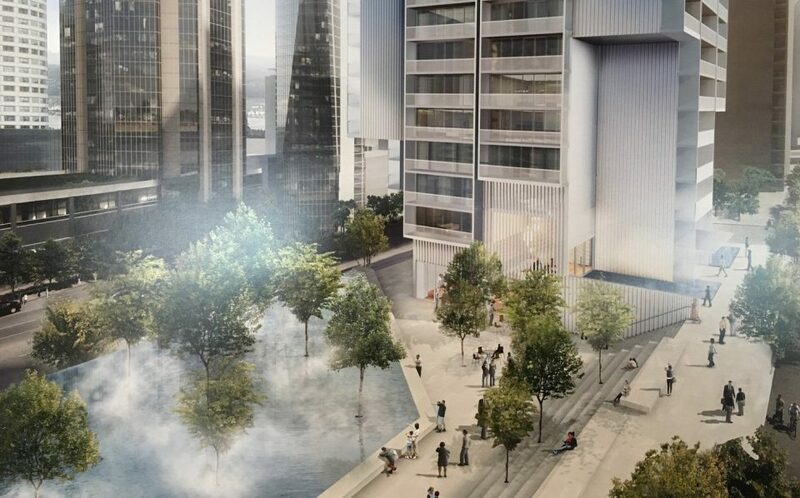 A cafe and gallery space will look out over the water feature, which will be completely reconstructed to use less water. 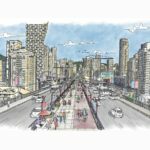 The depth will be reduced to approximately 6-8″ inches, and the bottom will be painted black to give the water the illusion of being much deeper. Several trees will be added across the plaza and into the water of the reflecting pool. 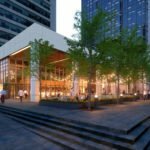 Landscape architects say the trees will soften what is a currently a very hard, urban plaza. 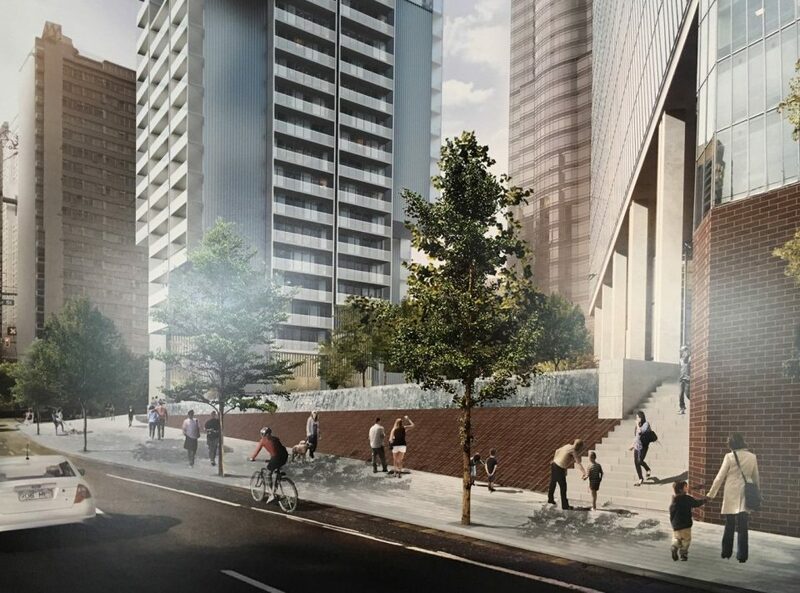 There will be seven levels of underground parking with 315 parking stalls, accessed from Nicola Street. 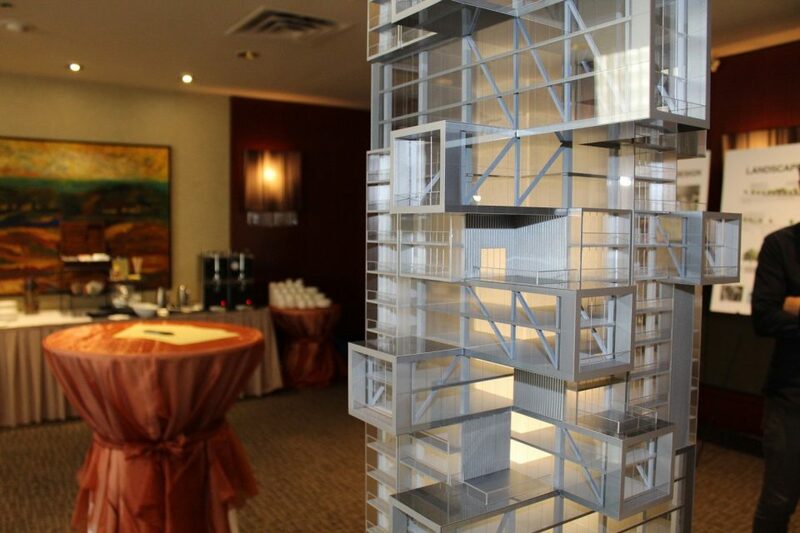 Unit sizes will range from studios, one, two and three bedroom units, as well penthouses and 18 “cantilever” units. 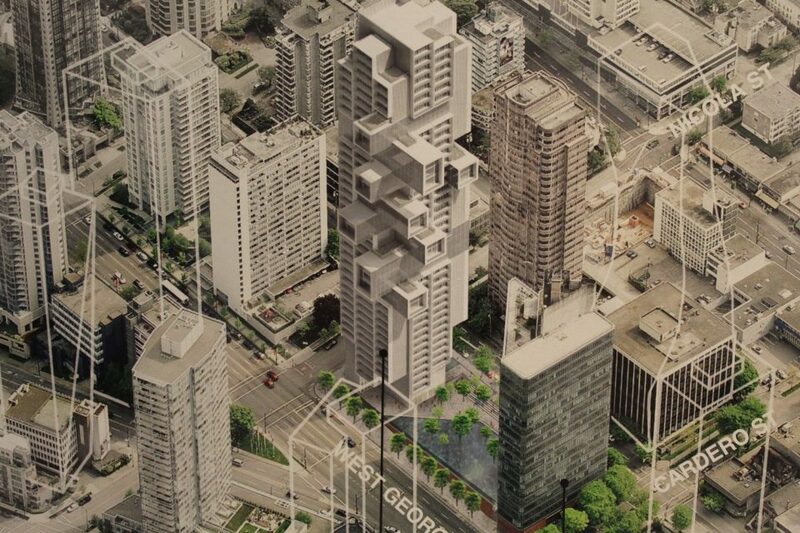 The architect hopes the building will serve as a gateway to downtown Vancouver. 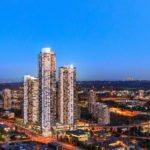 The site was originally acquired by Bosa in 2014 for $120.5 million, according to Vancouver Market. 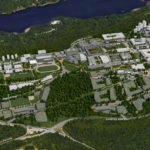 The project heads to the Development Permit Board on Monday, June 25, 2018. 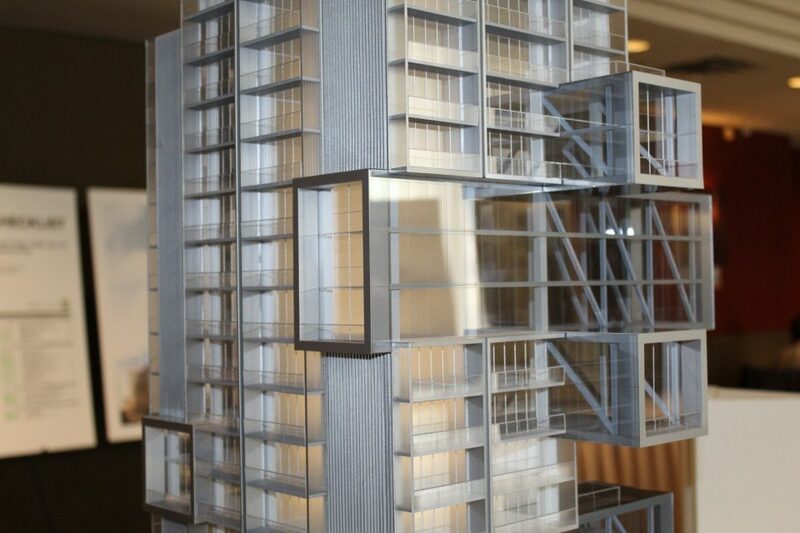 Model of 1515 Alberni Street by Bosa Properties. 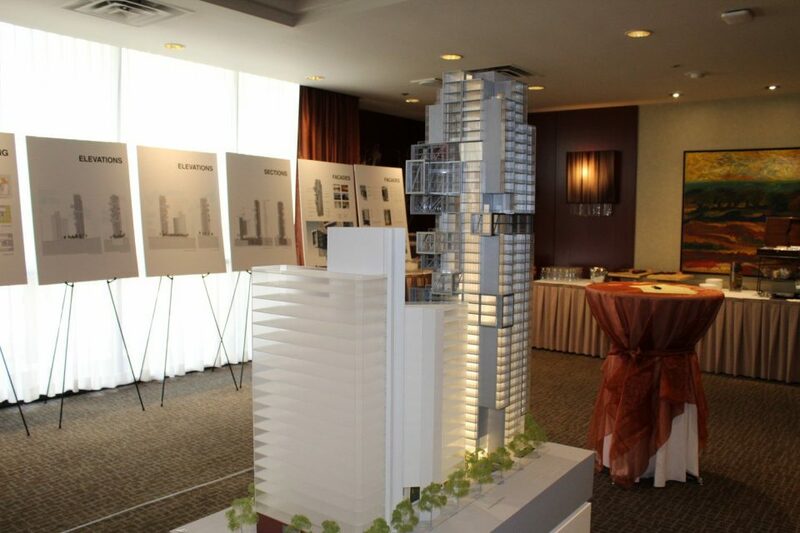 Rendering of the tower, now known as 1515 Alberni Street. Detail of façade, and cantilevered levels. The water feature has been reduced in size, as well as depth. 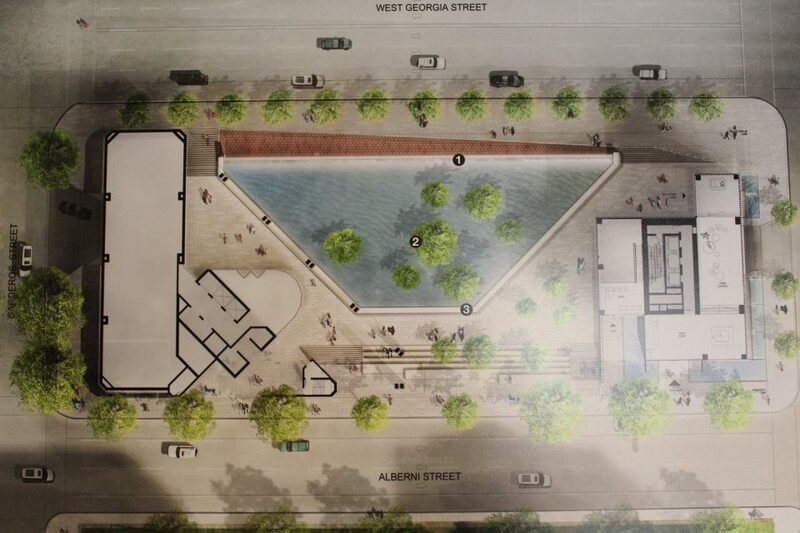 Rendering showing the restored water feature on West Georgia. 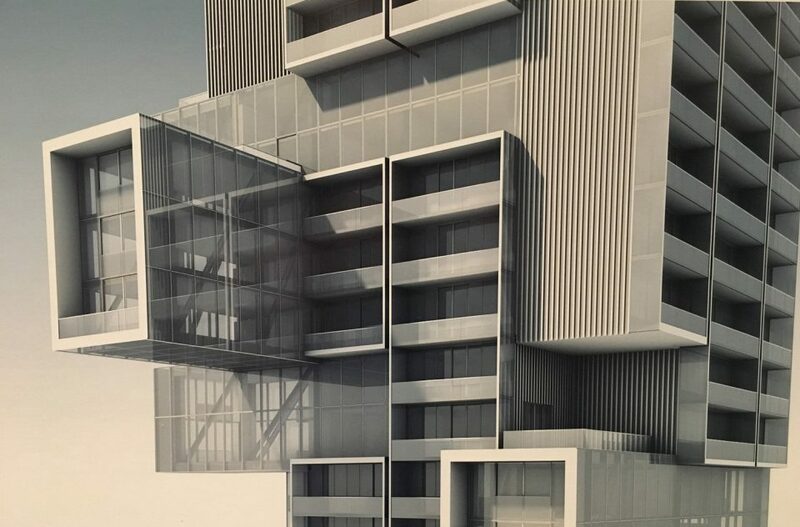 Cantilevered suites jutting out from the building façade. 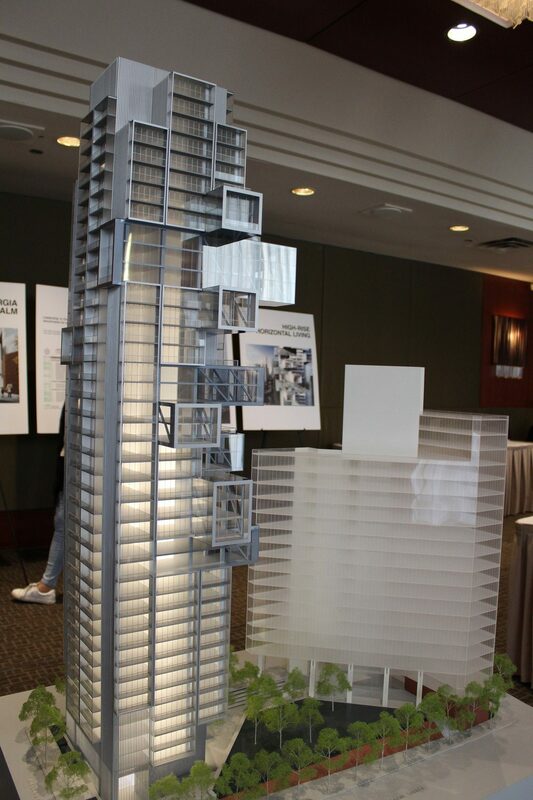 Context of tower at 1515 Alberni Street. The water feature has been scaled down, and will use significantly less water.